This new site culls the very best photos of headset-wearing ladies from around the web. Seriously. The ladies of HeadsetHotties.com are ready to take your order. 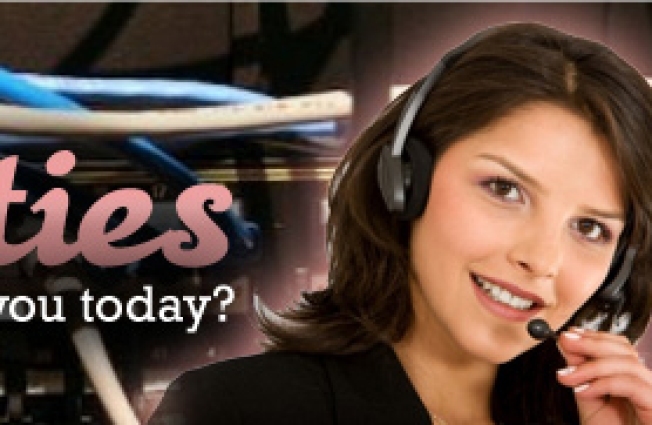 Or at least get you to click through lots of pictures of ladies in headsets. They say there's a fetish for everything, so we suppose we shouldn't be terribly surprised to find out some people really, really get into those stock photographs of women wearing telephone headsets, the ones you usually see on websites that heavily pimp their customer service angle. These women (and why are they always women?) are standing by now, looking knowledgeable, trustworthy, and hot, ready to help you with your order. And where there's a fetish, there's a niche to fill, and where there's a niche, there's a website, right? Enter Headset Hotties, a blog devoted to scouring the world wide web to bring you the hottest headset-wearing ladies in all of cyberspace. The entries come with fun descriptive titles, like "April, Your Dutch Bulbs Expert," "Swedish Lady, Helping You While in a Field" (which we were actually shocked to discover wasn't one of IKEA's own headset hotties), and the compellingly cryptic "Now With More Cyborg Raccoon Headset." Headset Hotties may be the most satisfying 4 minutes you spend on the internet today.